So we had Chickenpox in the house. First Harvey and then 2 weeks later Seb. It seems that the second one will have it more severe the longer they are around the first infected sibling. I guess that is true! Seb was covered. From head to toe. But, still not as bad as others I have seen. To help ease the itching they had oat baths. First we put a cup or so of oats into an old sock and put it over the tap to let the water run through it. Then the boys used the sock and washed themselves with it. By the time Seb got it, I got a bit fed up and grossed out with cleaning out the socks. And it got to the point where I just threw them out. Now I am running out of socks. Others have used muslin squares and made little Oat Bombs. Then I thought why not make it a flour and just put it in the bath. I am sure this is not a new idea. But it is easier to let it dissolve into the water. They boys had a great time spooning in the oat flour and mixing it in their bath. 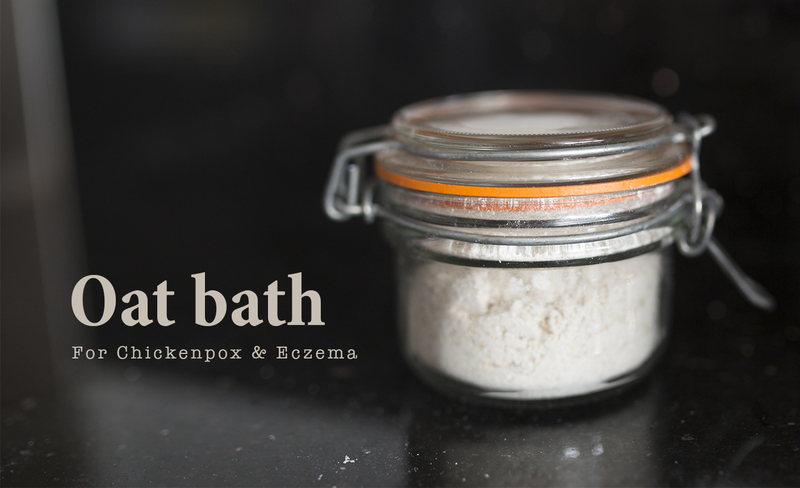 So if you want to make your own oat bath here is what you will need. Stick it all in the blender and blend till a flour texture. The finer the flour the easier it will mix into the water. Then store it in an airtight jar and use as much as you want. 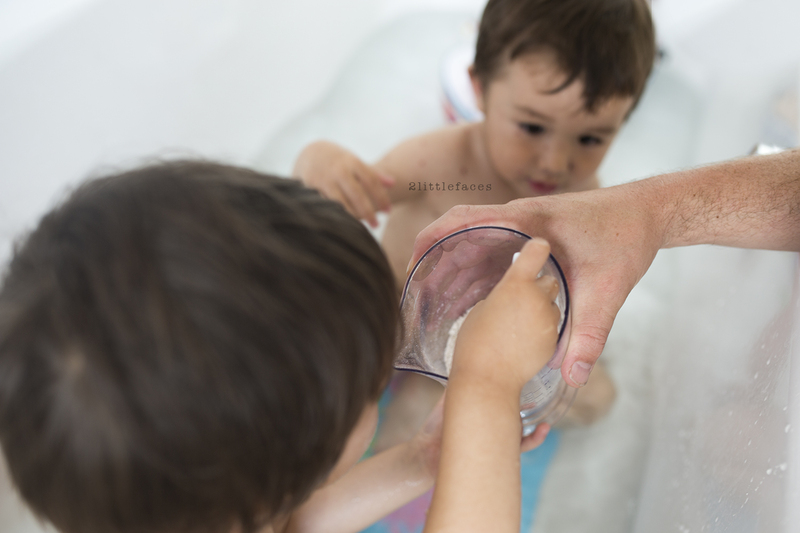 Oat baths are also great for Eczema, which both my boys also have. The Oat milk will leave a protective layer on the skin preventing dryness. Also great if you have really harsh water like we do. Thanks for sharing at #TwinklyTuesday. I have eczema that has been particularly stubborn lately. I'll have to give this a try!